Matthew Inman is the Eisner Award-winning creator of The Oatmeal and the #1 New York Times best-selling author of How To Tell If Your Cat Is Plotting To Kill You. Matthew also co-created the popular Exploding Kittens card game. Since being founded in 2009, his work on TheOatmeal.com has been read by over 300 million people. 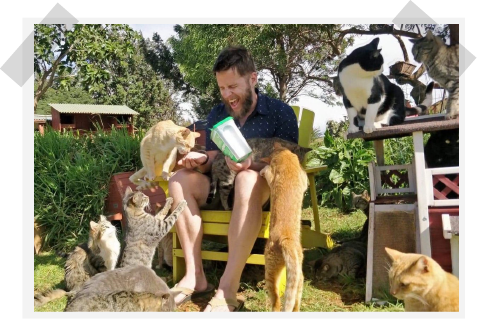 Matthew visited a cat sanctuary and was decidedly popular.